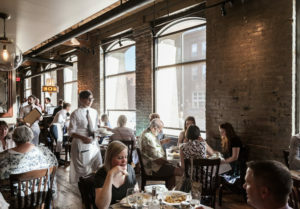 Delivering impeccable food, professional service, and a wine list that ranks among the most intriguing in the region, Spoon and Stable has pushed culinary boundaries on at least a half dozen fronts, from cocktails to dessert. Bar La Grassa has capitalized on a prime North Loop location by layering in elements that are irresistible to diners: a busy, buzzy dining room, delicious fresh pastas, and killer cocktails. It’s a perennial “it” spot that never lost its initial sheen. 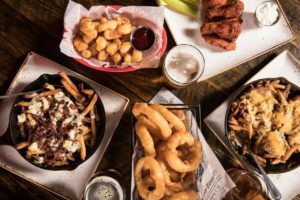 Red Cow does something most restaurants would like to emulate but few can: it presents creative, savory interpretations of American comfort food backed up by attentive, professional service and an atmosphere that brings people together over warm conversation and cold beer. 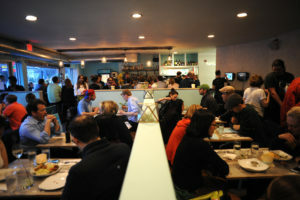 Hai Hai is a bustling, bubbly, convivial spot that serves up deep flavors. 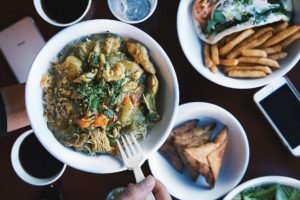 Its menu can’t be found anywhere else, and these strengths aren’t lost on diners (or Kind-of-a-Big-Deal voters)—it has quickly amassed a loyal clientele. 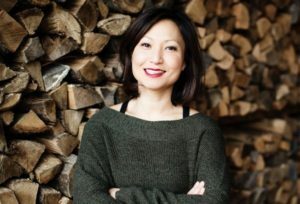 Chef Ann Kim has built an empire of well-regarded spots, culminating in the rightfully celebrated Young Joni. 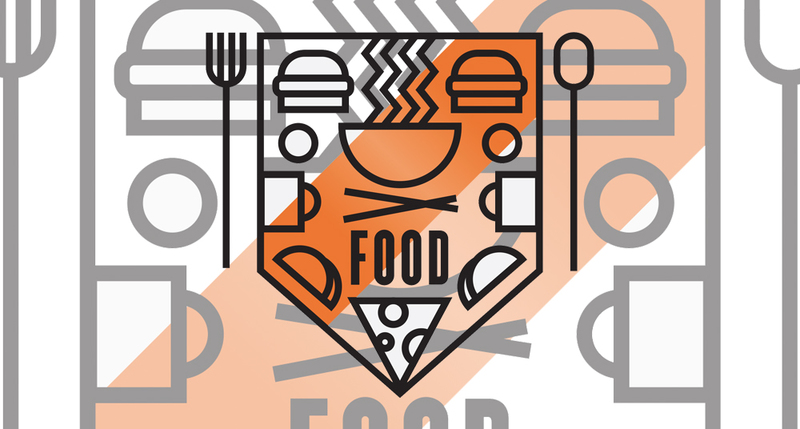 She’s started from a foundation of pizza and built outward and upward to cook all manner of fire-kissed dishes encompassing numerous global culinary traditions. For sheer spectacle—the view! the drinks! 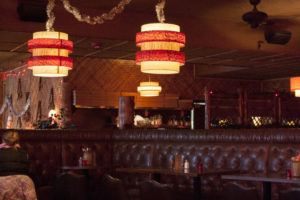 the tiki vibe!—it’s impossible to beat Psycho Suzi’s, a reigning titan of patio partying in Northeast Minneapolis for 15 years. There’s a reason that fish and chips are the heart of pub fare in the British Isles: the dish is infinitely comforting, and actually remarkably hard to carry off to perfection. 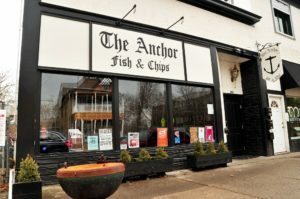 The Anchor Fish & Chips proves you don’t need to be in the U.K. to ace this classic working-class delicacy. Few restaurants have a true service culture—but at Manny’s, it’s fair to say that rather than the restaurant having the culture, the culture has the restaurant. 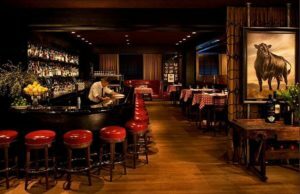 Its uber-competent servers are what let this steakhouse command the loyalty of the state’s high rollers and visiting titans of industry alike. 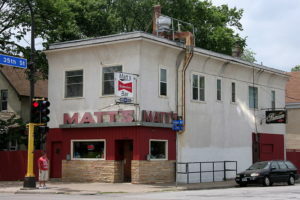 If you were to search for a single, iconic “Minnesota” food, the classic Jucy Lucy at Matt’s Bar in South Minneapolis would be a likely candidate. Cooked up on a venerable flat top grill and consumed by the likes of presidents and rock stars, it’s a true taste of the Upper Midwest. Pizza Lucé may be ubiquitous in Minnesota—a sprawling archipelago of slice-slinging locations from Richfield to Duluth—but that doesn’t mean its fans take it for granted. 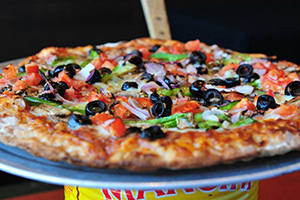 The chain has won a massive following by offering creative pizzas, including its vegetarian and gluten-free-friendly options. 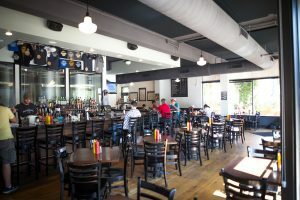 If any restaurant deserves credit for bringing barbecue out of its homespun context and putting it into the world of contemporary upscale dining, it’s Revival, whose three locations serve up beautifully crafted renditions of dishes like fried chicken, shrimp and grits, and fried green tomatoes. As one of the O.G.s of the Minnesota farm-to-table food movement, it’s no surprise that French Meadow has leaned on local produce and seasonal inspiration to create meat-free fare that enchants and satisfies. 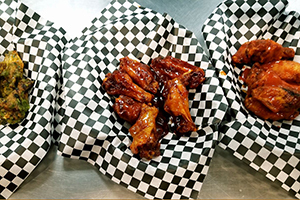 D-Spot offers nearly 100 different kinds of wings, and the variety is no mere stunt—chef Darin Koch has a serious command of spice, heat, and flavor that allows him to craft wings that range from subtle and divine to intense and terrifyingly spicy. 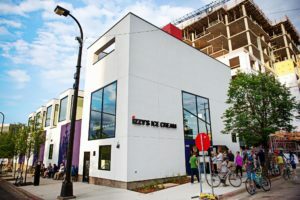 Bold, fresh flavors and the prominent use of the miniature bonus “Izzy scoop” helped to position the Izzy’s shops as the best in the region. Ice cream is supposed to be fun, and Izzy’s manages that without missing any of the food’s real culinary potential in the process. 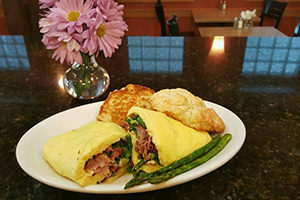 Colossal Cafe has made its mark by doing simple breakfast favorites with skill and consistency—and making some of the best-loved pancakes in a part of the world that has quite a few winners in that category. 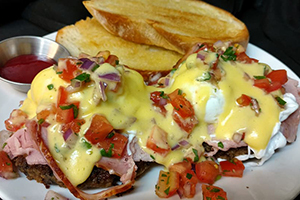 Colossal Cafe also takes the prize for brunch by offering menu items that go beyond the daily and embrace the realm of cozy, indulgent, and sophisticated that define the world of weekend relaxation and celebration. Bare-bones it may be for a restaurant—there’s no dining in at Nelson Cheese—but the shop has won a rabid following by doing a booming business in boxed lunches, take-out sandwiches, party trays, and great Upper Midwestern cheese. Thanks to an influx of Southeast Asian immigrants in the 1970s and ’80s, pho has become soul food around here, and few shops make it with more pride or skill than Pho 79. 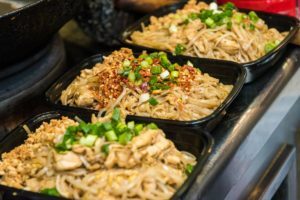 Diners craving banh mi or rice plates will find a lot to like at this unpretentious but skillful outpost of Vietnamese fare. 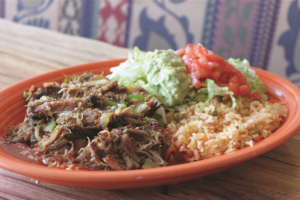 Whether you’re craving gooey queso fundido, hearty burritos, or sizzling fajitas, El Loro’s five festive locations have something to offer any fan of classic Tex-Mex fare. 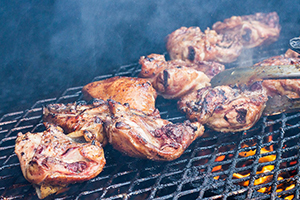 African noodles, gyros, curry, and grilled chicken dominate the menu at Afro Deli, a spot that has won hearts by offering flavorful, accessible African fare (plus the locally famous Chicken Fantastic). 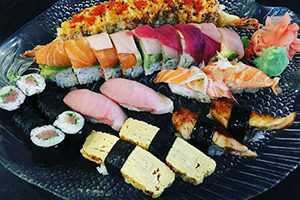 carefully made bento box set meals, tempura, sake, and delectable sushi for grateful customers. 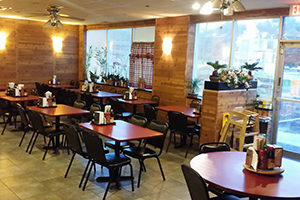 If there’s a reigning godfather (or godmother) of Thai food in Minnesota, it’s the magisterial Sawatdee, which has been turning out favorites with care since 1983. 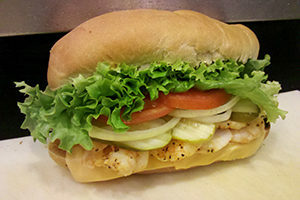 Its enduring popularity is a testament to decades of hard work and rich flavors. 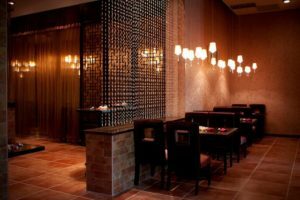 The soothing, warming flavors of north Indian and Nepalese food are the keys to Everest on Grand, a shop that brings deep spice and warm service to the heart of St. Paul. 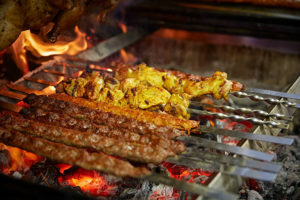 From rotisserie chicken to hummus to shawarma, Holy Land is a powerhouse of Middle Eastern fare that has no real rivals in terms of reach or consistency. 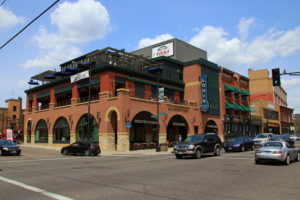 And as both a market and a restaurant, it’s a unique cradle and launching pad. 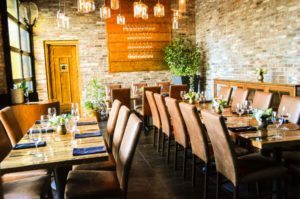 From the high-end fare at Louis Ristorante to casual, beloved classics like pizza and meatball subs; from cannoli to cookies to coffee; from bread to dried pastas, there’s just about nothing under the Italian sun that the Cossetta empire doesn’t offer. Hola Arepa’s win for best Latin American Restaurant represents the planning and talent of co-owners Christina Nguyen and Birk Grudem. 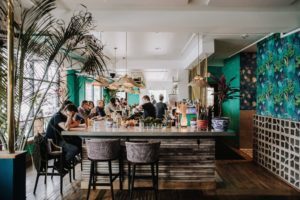 Hola’s easy charm and fantastically popular brunch service has won it a horde of devotees in South Minneapolis. 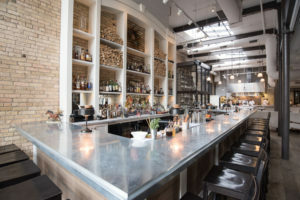 As the Wayzata expression of chef Gavin Kaysen’s vision, Bellecour has a lot to live up to—Spoon and Stable sets a high standard. 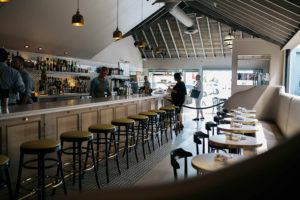 Bellecour does it with panache to spare, bringing a sophisticated menu, remarkable service, and world-class baked goods to the western part of the metro. The hot (and sometimes numbing) cuisine of Szechuan is one of the most compelling parts of one of the world’s greatest pantheons of food, and Minnesotans consider themselves fortunate to have Little Szechuan at which to enjoy it in all its fabulously flavorful glory. 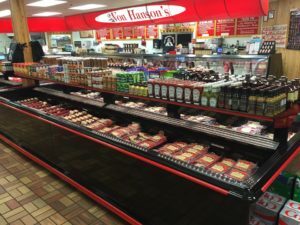 A true butcher shop is more than a place to buy meat; it’s a community hub and gathering place, and that describes the various locations of Von Hanson’s to a T. It’s a place that processes wild game, dispenses fantastic bratwurst and other sausages, and provides customers with old-fashioned personal service. 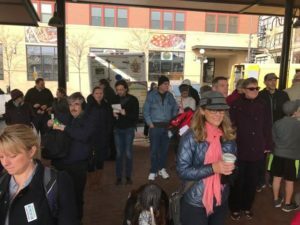 Local Coffee Roaster – Dogwood Coffee Co. 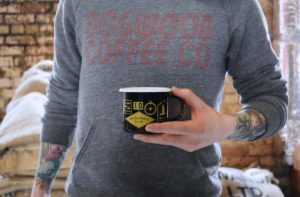 If you love coffee—real coffee, coffee that’s been lovingly and thoughtfully handled from bean to mug—you probably love Dogwood Coffee Co. Dogwood has made its name in the community by careful curation, roasting, and packaging of its product, and it pops up in many leading restaurants and cafes. Sometimes it helps to have a point of view. 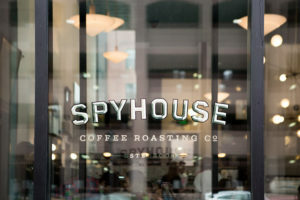 Spyhouse certainly does—its gorgeous cafes are a local byword for “cool;” their manicured, inviting interiors an ideal launching point for their carefully crafted beverages and baked goods. 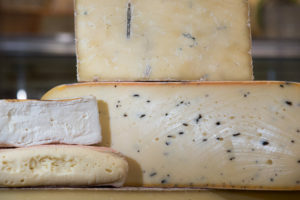 The Surdyk’s cheese shop may pack more flavor per square foot than any other culinary establishment in the state—it overflows with cheeses from around the world, olives, jams, jellies, spreads, chocolates, and ready-to-eat foods. 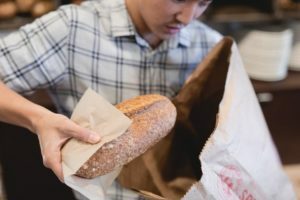 Rustica’s baguettes are the standard by which bread is measured around here, and the bakery’s sweet and savory offerings are both painstakingly crafted and widely distributed, making them a powerhouse of grain and yeast. 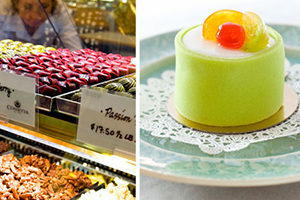 Cossetta’s Pasticceria is a magical place—a mesmerizing glass case of delicacies supported by a traditional Italian-style cafe for those who like their cannoli with a side of cappuccino. And don’t forget the gelato. 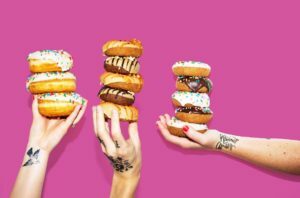 With their donuts’ gonzo retro styling and their shops’ late-night hours, Glam Doll has blasted past the old paradigm of donuts as workmanlike breakfast food and breathed new life into the form. 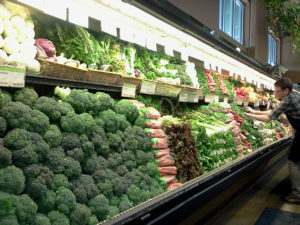 Minnesota is one of the nation’s hot spots for community food retailing. 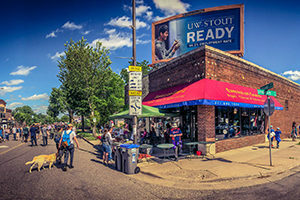 Mississippi Market stands out even among a forest of beloved peers, offering food that is deeply connected to the local land and people, and supported by modern service and shopping aesthetics. 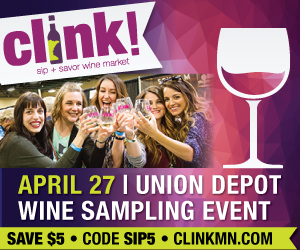 For Minnesotans seeking a classic, old-school farmers market experience, the St. Paul Farmers Market literally can’t be beat. It’s an awe-inspiring collection of local produce that avoids a glut of pre-prepared food stands and trucked-in veggies in favor of a just-the-basics spread of Upper Midwestern agricultural bounty.